Is that the one that finished 491st nationally and 100th in the conference? The one who finished 101st in the SEC actually. Porter got credit for only the TEs but also helped lot with the RBs we landed. I thought I remember WDE said something awhile back he had a big hand in getting the 2 kids from Frederica Academy as well but did not get any of the credit. Our best recruiters are def Garner, Woodson, T Will and Porter. Kodi has got better as well since he started. Really hope Caddy gives us another stud recruiter on the offensive side of the ball. We desperately need it. 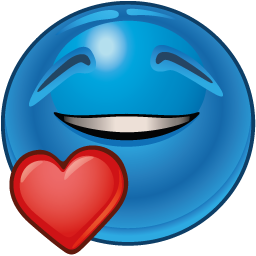 Me and @fredst give him a lot of grief but IT IS ALL in love and good fun but Goober Greg Brown is underrated as well. He had a pretty good showing this cycle. IF JB was just a Greg Brown level of recruiter we would be a lot better off with these OL recruits. Our best recruiters are def Garner, Woodson, T Will and Porter. Kodi has got better as well since he started. Really hope Caddy gives us another stud recruiter on the offensive side of the ball. We desperately need it. I actually think caddy will become a recruiting asset at some point, some may not think so. Just my opinion. Why would some not think so? I am very very hopeful of caddy!!! Dude def has the credentials. Kids still know who he is. MAR def did. Hopefully he is good at building relationships and we are set!!! Think Dilly Dilly will be a big hit with kids as well because of his age and energy he seems to have. Do not get your hopes up for more usage out of the tight end. That is still totally Malzahns call. They are glorified OL in a Gus offense. Just be happy for the 4 passes they get thrown next year if we are lucky lol. So you think we'll double their production? That's great! I have twinges of guilt when reading of those two fine young men committing to Auburn as TEs. I hope the overall Auburn experience as students makes up for their under utilization on the football field. If people come for Porter then I will come for them. As simple as that. There is a few people around these parts who do not believe in Porter. Well I hate those said people. I was one of them you hated. Glad you love me now. Peace! I see the same type of affect with Caddy and Porter. He seemed to make a big impression on MARs recruitment. I wonder if it made a difference? I wonder if it made ﻿a difference? No. We were already in a real good spot with MAR. Good thing obviously though is it didn't hurt. Caddy will prove to be just as (if not more than ) TWill on the recruiting trail. 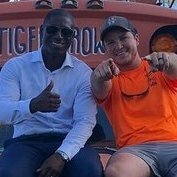 He is a legend in North Alabama, the Tampa area because of his days with the Bucs, and soon to be a proven recruiter in the Atlanta area. A home run hire by Gus. Porter will open doors, and Caddy can sell himself while relating to recruit. Then Porter can close the deal w/Caddy as needed. A partnership. Just like Woodson opened some doors for Garner in MS. It’s not an age thing per say, it is combining and or leveraging strengths of each. Synergy of sorts. Auburn wrapped up the nation's No. 11 recruiting class on National Signing Day, adding five players to bring the class total to 21 signees. While the Tigers finished outside the top 10 for the second season in a row, the average rating of each signee was .9116, which was the sixth-best nationally and the best in program history during the modern era. 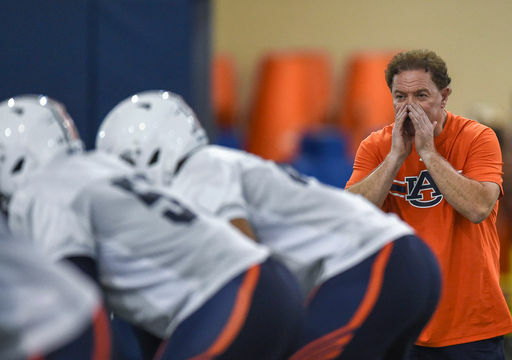 So, which coaches had the biggest role in landing Auburn's 11th-ranked class? Check out where the Tigers' assistant coaches finished in the 247Sports Composite recruiter rankings for the 2019 recruiting cycle. We did not include former offensive coordinator/quarterbacks coach Chip Lindsey (35th nationally), although he was the primary recruiter for quarterback Bo Nix, receiver Ja'Varrius Johnson and offensive lineman Kamaar Bell, since Lindsey left the program in December and is now at Troy. We did include former running backs coach Tim Horton, because he was still on staff until just prior to signing day. 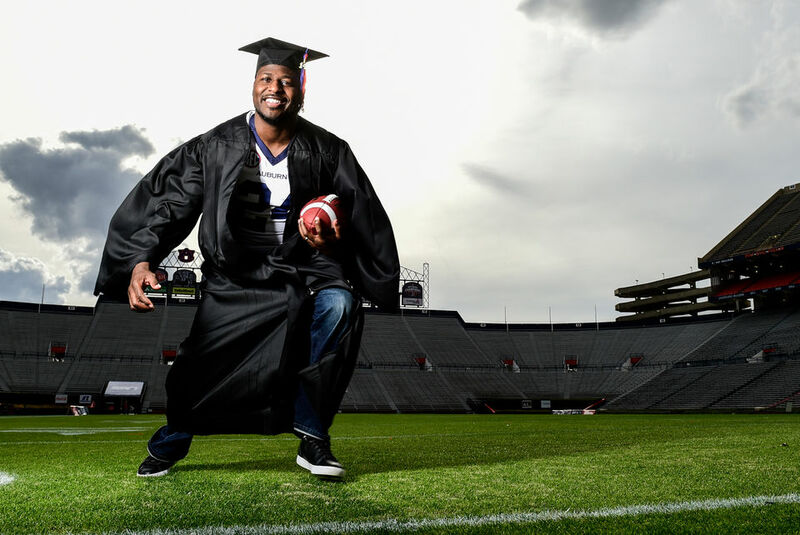 Carnell "Cadillac" Williams just joined Auburn's coaching staff two weeks before National Signing Day, so it's not surprising that he didn't finish ranked in the 247Sports recruiter rankings. It should be noted, however, that he helped the Tigers close with four-star running back Mark-Antony Richards on Wednesday. 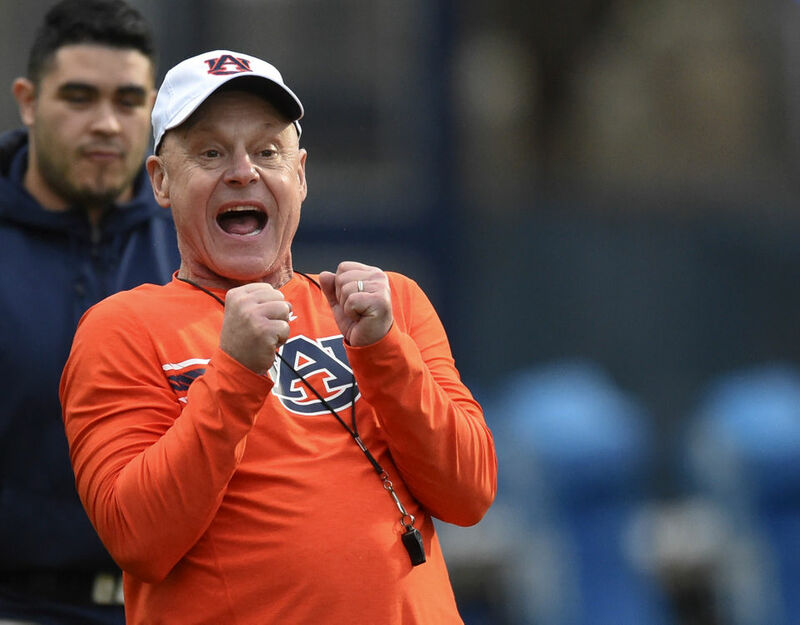 Dillingham joined the Auburn staff in early December and was not credited with any of the Tigers' 2019 signees, as quarterback Bo Nix had long been committed by the time Dillingham took over as quarterbacks coach and offensive coordinator. 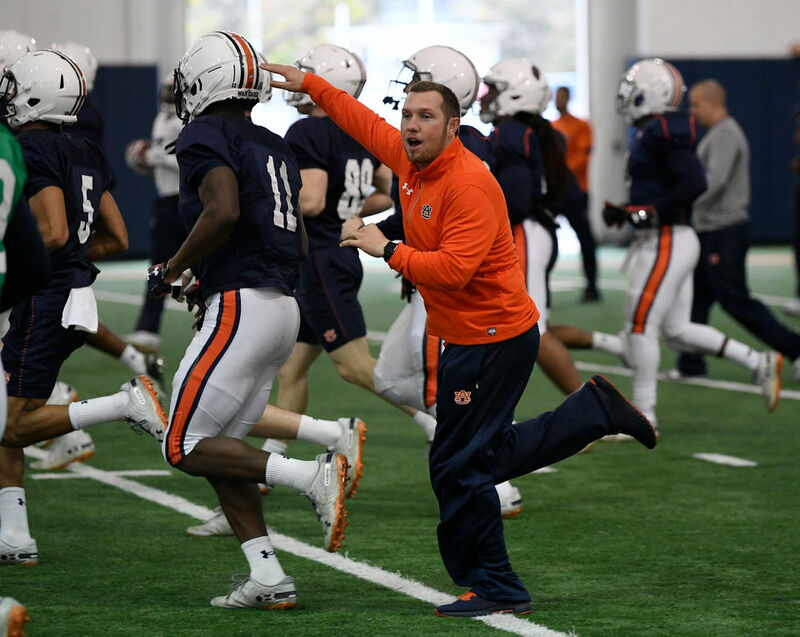 His relationship with Arizona State grad transfer Jay-Jay Wilson, however, played a role in Auburn getting a commitment from the tight end -- though he has not yet signed with Auburn and is not yet being included in the 2019 class. 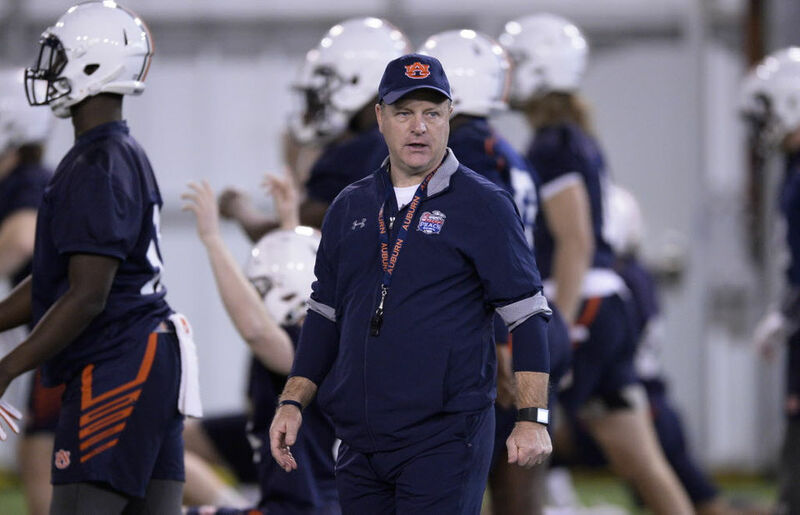 While Tim Horton is no longer on Gus Malzahn's staff -- he was demoted to an off-field role last month following six years as running backs coach, and Malzahn said Wednesday that Horton has left the program and "decided to do something different" -- the former Tigers assistant was instrumental in landing four-star running back D.J. Williams out of Sebring, Fla. Williams was a late bloomer on the recruiting circuit, but Horton was his primary recruiter as Auburn was the first major program to offer him a scholarship. 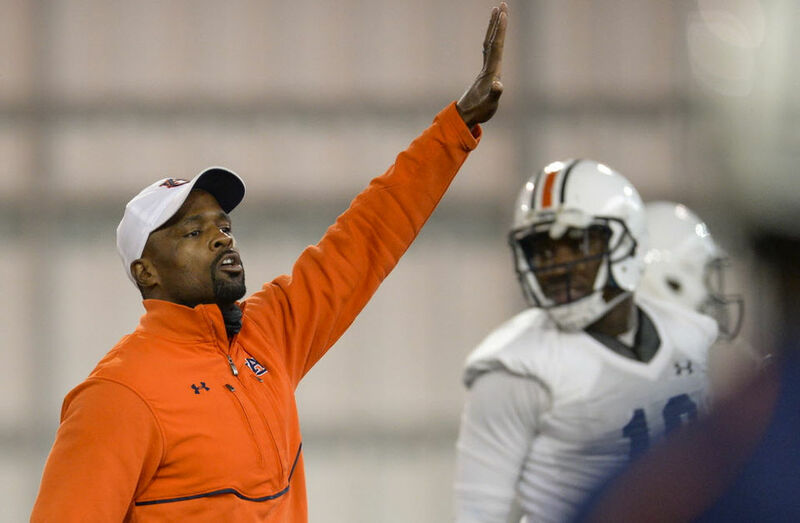 Larry Porter, who coaches H-backs and tight ends while also handling special teams duties, helped Auburn haul in the nation's Nos. 17 and 33 tight ends in a class that the Tigers needed to sign a pair of players at that position following the departure of Jalen Harris and the graduation of Chandler Cox. Porter was the primary recruiter for Deal and listed as the secondary recruiter for Fromm. J.B. Grimes helped Auburn land a trio of offensive linemen, even if the Tigers fell short of their target goal at the position for the 2019 class. Grimes was the secondary recruiter for each of the three offensive line signees. Commits: Three-star defensive back Nehemiah Pritchett and three-star tight end Tyler Fromm. 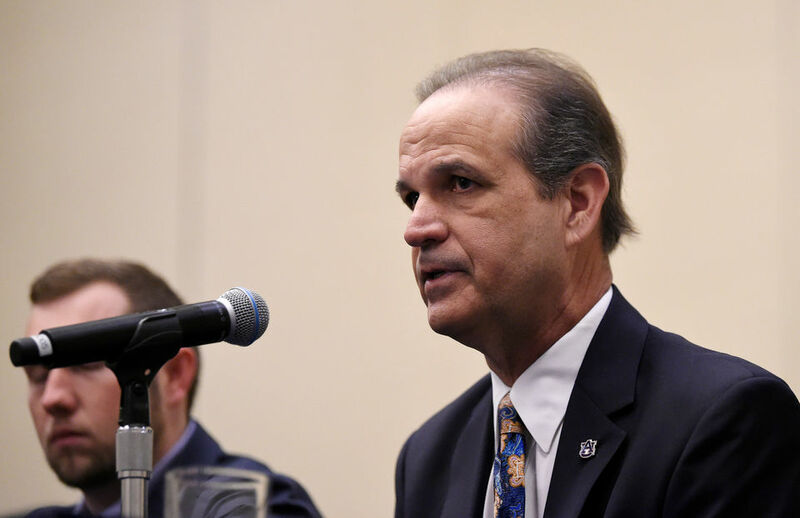 Defensive coordinator Kevin Steele was listed as the primary recruiter for both Fromm and Pritchett, and he definitely played a role in helping the Tigers land a strong class on the defensive side of the ball that included a five-star linebacker and seven four-star players. 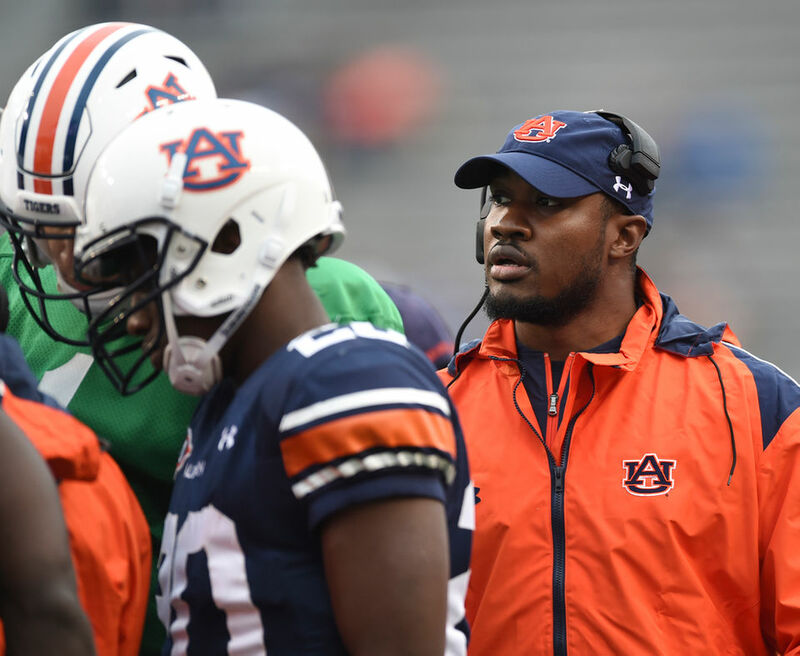 Kodi Burns, who coaches Auburn's receivers and holds the title of co-offensive coordinator/passing game coordinator, was the primary recruiter for four-star Frederica Academy teammates Sheffield and Simpson, both of whom signed during the early signing period. He was also the secondary recruiter for Johnson, a four-star receiver out of Hewitt-Trussville who signed in December. He was listed as the secondary recruiter for five-star receiver George Pickens, who had been committed to Auburn since July 2017 before flipping and signing with Georgia on National Signing Day. Commits: Four-star athlete Jashawn Sheffield, three-star defensive back Nehemiah Pritchett, three-star offensive lineman Justin Osborne. 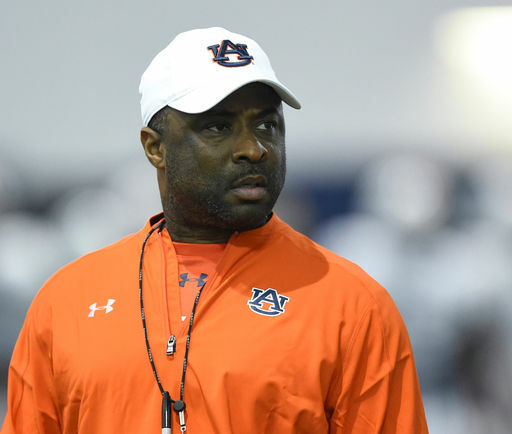 Greg Brown, who coaches Auburn's safeties, was the primary recruiter for offensive tackle Justin Osborne while also serving as the secondary recruiter for four-star athlete Jashawn Sheffield (who was discussed as a defensive back before signing as a receiver) and three-star Jackson product Nehemiah Pritchett. Commits: Five-star linebacker Owen Pappoe, four-star Buck edge-rusher Colby Wooden, three-star linebacker Octavius Brothers, two-star linebacker Kameron Brown. 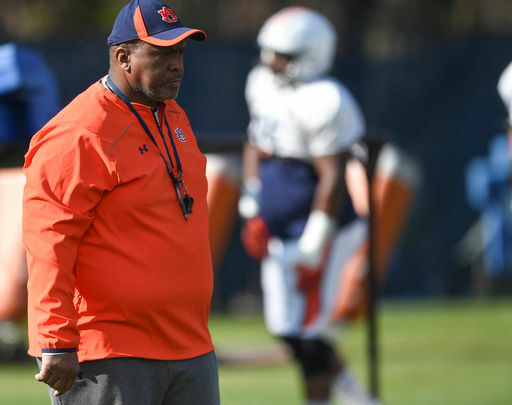 Auburn's linebackers coach was crucial in the Tigers' signing their highest-rated recruit of the 2019 class, top-rated outside linebacker Pappoe, who is the nation's No. 25 overall prospect. He also helped land underrated four-star edge-rusher Wooden from Lawrenceville, Ga., while rounding out the linebacker corps down the stretch with the additions of Brothers and Brown, who is the younger brother of Auburn's star defensive tackle Derrick Brown. Williams continues to prove his worth on the recruiting trail for Auburn. Commits: Five-star quarterback Bo Nix, four-star defensive ends Charles Moore and Jaren Handy, four-star safety Zion Puckett, four-star offensive lineman Keiondre Jones, four-star edge-rushers Derrick Hall and Colby Wooden. 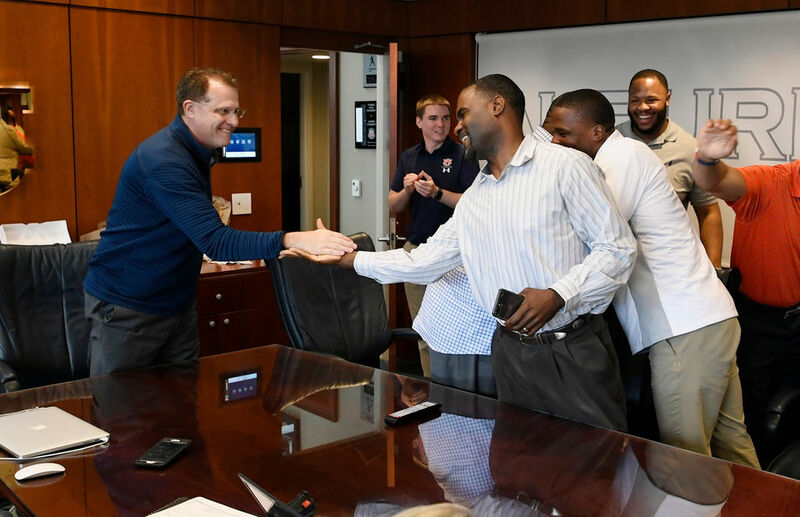 Rodney Garner continues to be an elite recruiter for Auburn, having a hand in landing one-third of the Tigers' class -- all of whom were four- or five-star prospects. He was the secondary recruiter for Nix, Moore, Handy, Hall and Wooden while taking the lead on Puckett and Jones. Commits: Four-star defensive ends Charles Moore and Jaren Handy, four-star defensive backs Zion Puckett, Cam'Ron Kelly and Jaylin Simpson, four-star edge-rusher Derrick Hall. Marcus Woodson was, hands down, Auburn's No. 1 recruiter during the 2019 cycle as he helped the Tigers establish a strong pipeline into a suddenly talent-rich Mississippi. He was the primary recruiter for and helped pluck three players from the Magnolia State -- all along the defensive line, with two of them being top-100 prospects in Moore and Handy. He was also the point man for Kelly, from Virginia, and was the secondary recruiter for Puckett and Simpson. All in all, Woodson proved to be one of the most effective recruiters in the country this cycle. Covered thoroughly at the top of this page of the thread. Also @abw0004 please always provide a link when posting an article. 1. It's a rule for our website. 2. It saves me from having to do some fishing to find the link. 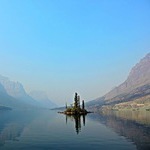 Craig is elsewhere now. It suits me fine if he never learns the techniques that Kodi is using to repair the pass catching damage Craig did to our WR guys. I mean this in the nicest way possible, but your whole epersona is a troll, right? The things you post aren’t meant to be taken seriously or literally, correct? Some are serious, some are jokes. You however are always negative towards Auburn. One never has to read one of your posts, it's a foregone conclusion that you'll be griping about something at AU.